Forma boots are now easily recognised in the motorcycle industry thanks to truly competitive products suitable for all riding categories and users. The 2016 collection features some exciting new models dedicated to racing, touring and off-road. Superior Italian design, expertise workmanship and only the finest materials offered on the market make it simple to create an extraordinarily comfortable boot which meets all necessary safety standards. Once you’ve tried Forma’s boots you won’t consider wearing anything else – comfort and riding performance is assured. 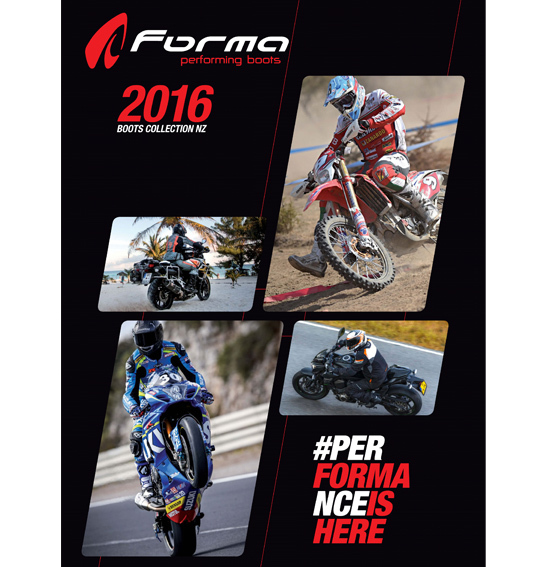 For an overview of the Forma 2016 Collection, see below or click HERE.